June 1, 2015 (Source: Marketwired) — Zenyatta Ventures Ltd. (“Zenyatta” or “Company”) (TSX VENTURE: ZEN) (OTCQX: ZENYF) is pleased to announce the results of a positive preliminary economic assessment (‘PEA’) on its Albany hydrothermal Graphite Project located in northern Ontario, Canada. The PEA was prepared by the independent engineering firm RPA Inc. (‘RPA’) in Toronto with mill design input from SGS Canada Inc. (‘SGS’). The RPA report concluded that the PEA is positive and the project should be advanced to the pre-feasibility stage. An animated video of the proposed mining project can be found on the Zenyatta website or at the following LINK. A base case after-tax Net Present Value at a 10% discount rate of $438 Million yielding an after-tax Internal Rate of Return of 24%. RPA proposes a 22 year, open-pit mine with a processing plant located on site which generates a strong annual cash-flow and high rate of return. The PEA indicates that the Albany graphite project has excellent potential to be a low-cost source of high purity graphite without the use of dangerous and environmentally harmful hydrofluoric acid (as in China) or costly thermal upgrading (as in synthetic graphite derived from petroleum coke). Recent work performed by SGS, on behalf of Zenyatta, successfully completed and tested an innovative and relatively benign purification process for the production of consistent and highly crystalline graphite exceeding 99.9% purity from the Albany deposit. Feedback from the cleantech sector suggests that environmental considerations are critical when sourcing raw materials for today’s high tech applications like energy storage. Supply chain transparency is easier to track and is expected in an ever demanding ‘green’ world. The PEA is based on mineral resources that are not mineral reserves and have not demonstrated economic viability. Thus, there is no certainty that the results of this PEA will be realized. It is common practice in the mining industry to assess the economic viability of a mineral project at various development stages. Generally, a mining company will first conduct a PEA, then a pre-feasibility study followed by a feasibility study. Each stage will analyze, in further detail and to a greater level of certainty, the economic, technical and geological factors that will determine whether the mining project is commercially viable. The goal of a PEA is to determine, at an early stage, whether a mining project is potentially viable, in order to advance to a pre-feasibility phase. Zenyatta’s 100% owned Albany graphite deposit is located in northern Ontario, Canada near good infrastructure. The deposit is located 30 km north of the Trans-Canada Highway (‘TCH’), with access to the power line and natural gas pipeline near the communities of Constance Lake First Nation and Hearst. A rail line is located 70 km away, with an all-weather (all season) logging road approximately 20 km from the graphite deposit. The PEA proposes building an access road, power line and gas line to the property from near the TCH. Planned infrastructure and facilities at the project site include the open-pit mine, processing plant, tailings management facility, handling facilities, crushers and secondary buildings, including offices and workshops. The pricing model for the PEA was derived from an extensive detailed study of targeted market segments and industry trends that are relevant for the high-quality and high-purity graphite sector. A summary of approximate price ranges for these market segments of the graphite industry are shown here for reference. Estimated annual production of 30,000 tonnes of high-quality graphite product from the Albany deposit represents ~7% of the 2017 market demand estimate. Zenyatta has previously reported that preliminary testing has indicated that the performance of Albany graphite is within the range of anode materials that are presently used for Lithium-ion Batteries (‘LIBs’). Independent testing has also indicated that it is suitable for use in hydrogen fuel cells and in powder metallurgy (‘PM’) applications. At this time Zenyatta anticipates having a targeted market application segmentation which includes 25-30% in LIBs, 20-25% for Fuel Cell products, 25-30% for high purity graphite in PM and 15-30% from other applications in the list above. The Company is in discussion with end-users on other types of high purity applications that could possibly change the market segmentation and will disclose these potential markets at the appropriate time. The outlook for the global graphite market is very promising with demand growing rapidly from new applications. Graphite is now considered one of the more strategic elements by many leading industrial nations, particularly for its growing importance in high technology manufacturing and in the emerging “green” industries such as components of energy storage devices for electric vehicles, computers, smartphones etc. 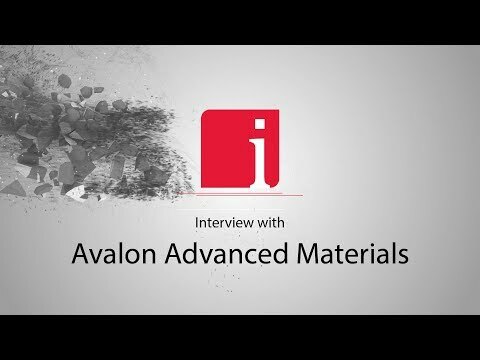 The applications for graphitic material are constantly evolving due to its unique chemical, electrical and thermal properties. It maintains its stability and strength under temperatures in excess of 3,000°C and is very resistant to chemical corrosion. It is also one of the lightest of all reinforcing elements and has high natural lubricating abilities. Some of these key physical and chemical properties make it critical to modern industry. This News Release describes a PEA cash flow model based upon geological, engineering, technical and cost inputs developed by RPA. A National Instrument 43-101 PEA technical report will be filed on SEDAR and made available on the Company’s website within 45 days. Jason Cox, P.Eng. Executive VP – Mine Engineering – Principal Mining Engineer of RPA, Alex Mezei, M.Sc., P.Eng., Director, Engineering Technical Services at SGS Lakefield, independent consultants to Zenyatta, Peter Wood, P.Eng., P.Geo., VP Exploration and Dr. Bharat Chahar, P.E., VP Market Development for Zenyatta are the Qualified Persons under National Instrument 43-101. Jason Cox, Alex Mezei, Peter Wood and Bharat Chahar have supervised, approved and read the scientific and technical information that forms the basis for the disclosure contained in this news release. To find out more on Zenyatta Ventures Ltd., please visit the website www.zenyatta.ca or contact the Company at info@zenyatta.ca or Tel. 807-346-1660. Neither TSX Venture Exchange nor its Regulation Services Provider (as that term is defined in the policies of the TSX Venture Exchange) accepts responsibility for the adequacy or accuracy of this release. This news release may contain forward looking information and Zenyatta cautions readers that forward looking information is based on certain assumptions and risk factors that could cause actual results to differ materially from the expectations of Zenyatta included in this news release. This news release includes certain “forward-looking statements”, which often, but not always, can be identified by the use of words such as “believes”, “anticipates”, “expects”, “estimates”, “may”, “could”, “would”, “will”, or “plan”. These statements are based on information currently available to Zenyatta and Zenyatta provides no assurance that actual results will meet management’s expectations. Forward-looking statements include estimates and statements with respect to Zenyatta’s future plans, objectives or goals, to the effect that Zenyatta or management expects a stated condition or result to occur, including the expected timing for release of a pre-feasibility study, the expected uses for graphite in the future, and the future uses of the graphite from Zenyatta’s Albany deposit. Since forward-looking statements are based on assumptions and address future events and conditions, by their very nature they involve inherent risks and uncertainties. Actual results relating to, among other things, results of exploration, metallurgical processing, project development, reclamation and capital costs of Zenyatta’s mineral properties, and Zenyatta’s financial condition and prospects, could differ materially from those currently anticipated in such statements for many reasons such as, but are not limited to: failure to identify mineral resources; failure to convert estimated mineral resources to reserves; the inability to complete a prefeasibility study; the preliminary nature of metallurgical test results; the inability to enter into offtake agreements with qualified purchasers; delays in obtaining or failures to obtain required governmental, environmental or other project approvals; political risks; uncertainties relating to the availability and costs of financing needed in the future; changes in equity markets, inflation, changes in exchange rates; fluctuations in commodity prices; delays in the development of projects; capital and operating costs varying significantly from estimates and the other risks involved in the mineral exploration and development industry; and those risks set out in Zenyatta’s public documents filed on SEDAR. This list is not exhaustive of the factors that may affect any of Zenyatta’s forward-looking statements. These and other factors should be considered carefully and readers should not place undue reliance on Zenyatta’s forward-looking statements. Although Zenyatta believes that the assumptions and factors used in preparing the forward-looking information in this news release are reasonable, undue reliance should not be placed on such information, which only applies as of the date of this news release, and no assurance can be given that such events will occur in the disclosed time frames or at all. Zenyatta disclaims any intention or obligation to update or revise any forward-looking information, whether as a result of new information, future events or otherwise, other than as required by law.